Discussions about the economy are primarily anthropocentric in that they focus on the number of jobs lost, the rise and fall of the stock market, falling real estate prices, and so on. I want to use this post to highlight how animals are suffering from ‘The Great Recession’. One of the most troubling signs of this recession is the large, escalating number of abandoned pets. I’m not talking about just cats and dogs – I’m also talking about ferrets, iguanas, hamsters, turtles, horses, goats, pigs, etc. Pet shelters have reported a massive increase in the number of abandoned pets. Some pets are simply tied to the door of the shelter. Others are let loose in shelter cark parks, or even thrown in dumpsters. Pets are mostly given away anonymously. When animal shelters do learn why a pet was abandoned, the main reasons are a lost job, a foreclosure, or both. After losing their homes and/or jobs, people can no longer afford to support their animal companions. The most vulnerable among us always suffer the most during economic turmoil. The long lines of pet owners showing up by the thousands for free kibble are growing more diverse each week. Lower-income people are now joined by middle-class folks pummeled by the economy: white-collar workers recently laid off; elderly people who had been receiving regular cash from relatives who can’t afford that anymore; military spouses unable to find work to earn some discretionary income; students who’ve lost their part-time jobs; high-earners with high debt who are dramatically downshifting. Pet food pantries have helped a wide assortment of people care for a wide assortment of animals. Along with such food pantries there have been some public initiatives to protect pets. One initiative would provide tax incentives for animal care. The Humanity and Pets Partnered Through the Years (‘HAPPY’) Act will, if enacted, give up to $3,500 USD in tax credits for pet expenses: food, veterinary care, etc. The Bill notes explicitly that ‘the Human-Animal Bond has been shown to have positive effects upon people’s emotional and physical well-being.’ Implicit in the bill is a recognition that animal abandonment is out of control, and as a matter of public policy it needs to be stopped. The ASPCA has urged its members to contact their elected representatives to support this bill. I find it encouraging that the HAPPY Act recognises how pets are more than mere chattels; pets are part of the family. People already receive tax credits for their children – why not give tax credits for pets? 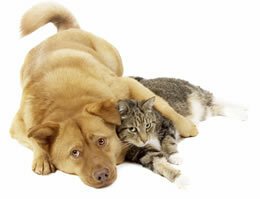 These tax credits are an excellent way to help prevent an animal companion’s abandonment. Ultimately we need to change the way we regard our animal companions – not as property but as individual sentient beings with distinct personalities, the will to live, and the ability to suffer. Until we stop regarding animals as chattels, a small way to protect our pets is through pet food banks and pet tax credits. Let’s not forget that behind every story of economic trouble is a story of animal suffering. Posts like this brighten up my day. Tankhs for taking the time.